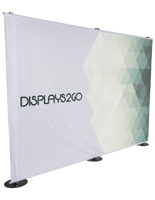 An eye-catching image surrounding your display is a great way to capture attention at a commercial event. 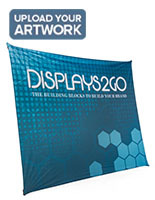 Our trade show backdrops are excellent for representing your company at busy conferences. 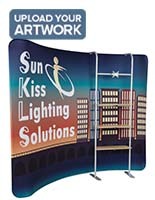 These banner stands are large, informing passersby about your business from a distance. 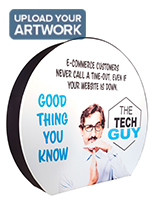 Each trade show backdrop comes with custom printing for a fully personalized graphic that tells the world what you're about. 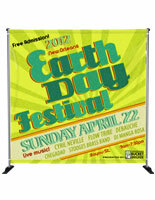 Use vibrant full color images to make a memorable mark that attendees won't forget! 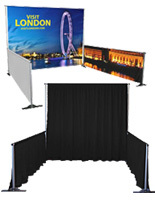 Choose a trade show backdrop that will give your presentation an edge at the next expo. 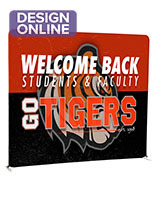 What features make these banner stands excellent for promotion? 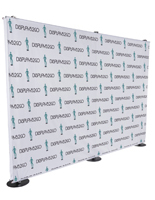 These trade show backdrops are made of durable polyester or stretch fabric. 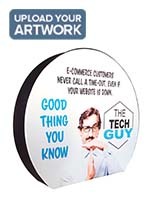 Not only will this material survive high traffic areas and long travel periods, but its taut design resists wrinkles for a professional presentation. 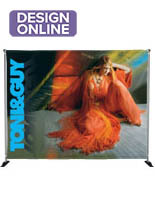 Our backgrounds for booths are made in large sizes to increase visibility and maximize your promotional capabilities. 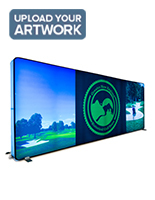 Find screens as large as 10' x 10' that create a larger than life display. 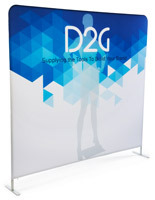 Each commercial event banner stand uses a strong, portable framework that holds up your image. This fixture is made of lightweight aluminum tubes that screw together with ease. 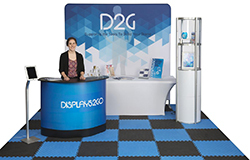 Worried about getting your booth display to the event? Each unit comes with a canvas bag or hard plastic case with wheels to make transportation a breeze. 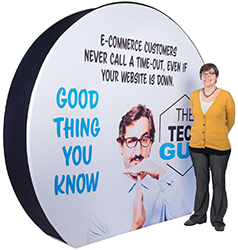 Custom printed trade show backdrops are excellent because companies can feature any graphic, whether it's just a logo or a collage of information for attendees. 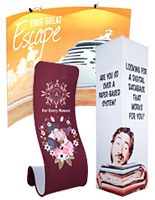 Most of these displays use dye sublimation printing that can feature any image in full color with realistic detail. This process transfers dye onto a material using heat, creating long lasting tones and detail. 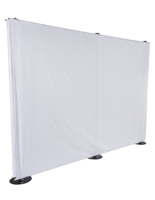 What other options are available with these event backdrops? Back drops with lighting will really stand out from the crowd! 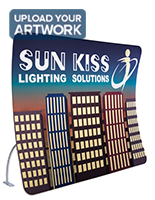 Our event booth backgrounds feature "LED ladder lights" that illuminate graphics with bright, energy efficient light. Double sided backdrops are also great for increasing visibility in busy environments. 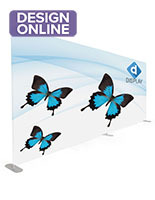 Get seen by both sides of foot traffic for a bigger impact! 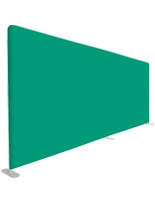 Choose from banner stands in a number of different shapes. Rectangular models are the standard, so why not be unique with a circular back drop? 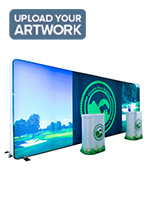 Displays with a curved design are another interesting choice because they can wrap around your exhibit booth. Complete your convention presentation with one of these stylish and informative backgrounds. 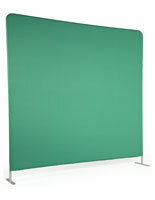 This category also includes our green screens as they use a similar design, made with the same durability and portability. Chroma key stands are great for creating promotional videos — read our guide on how to set one up and get started! Order on Displays2go.com for wholesale pricing and fast shipping on all these awesome commercial tools!